Jan 8, 2018 Update: Google now clarifies that all reviews from competitors & employees are against guidelines. Before, it stated that posting negative content about a current/former employment experience wasn’t allowed and on January 5 they removed the word “negative”. Before, it stated that posting negative content about a competitor to manipulate their rankings wasn’t allowed and on January 5, they removed the word “negative”. 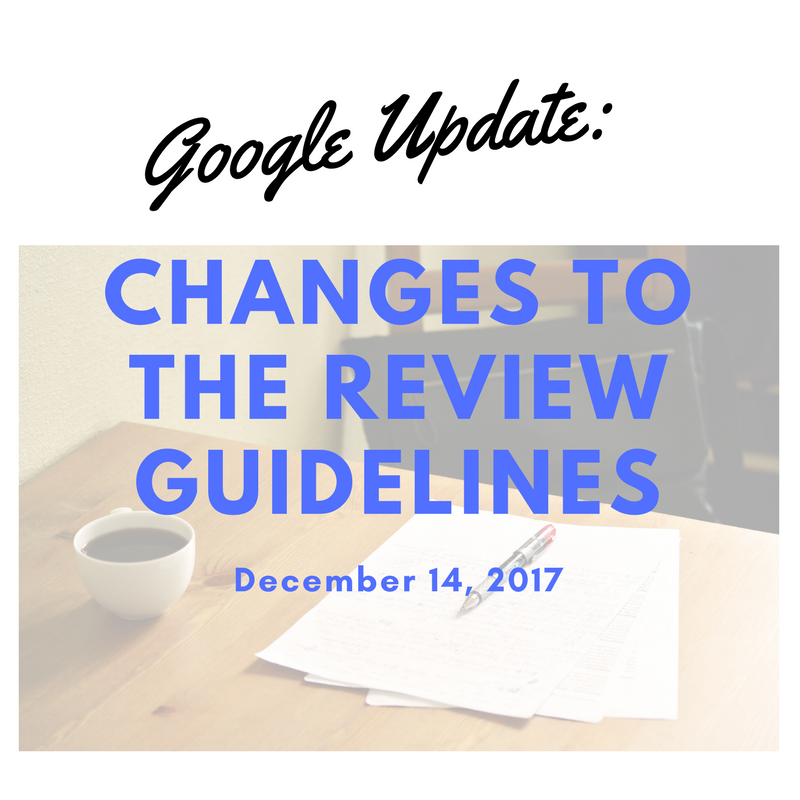 On December 14, 2017 Google made a change to the review guidelines. I’ve outlined all the changes below. The review guidelines are now a part of the Maps User section of the Help Center, not Google My Business. 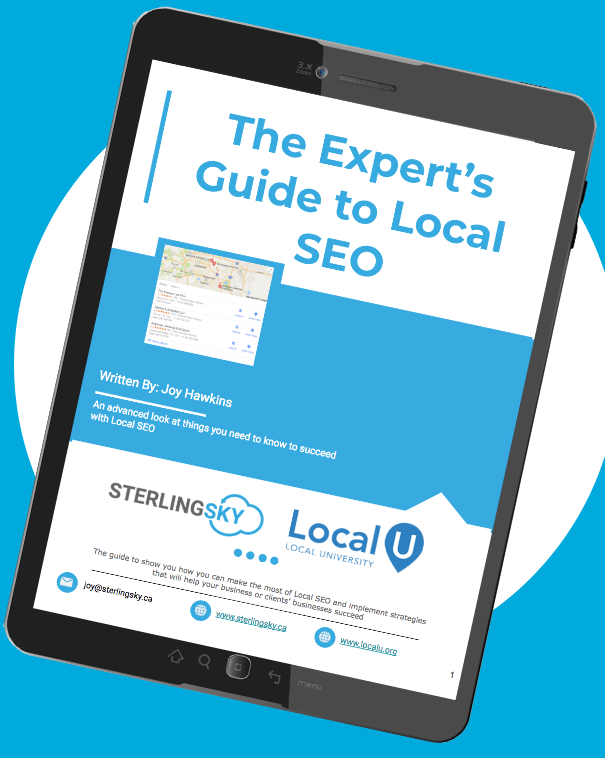 The policies now apply to all types of Google content – not just reviews. They also apply to ratings, images, videos, Q&A, captions, tags, links and metadata. They added a section on restricted goods clarifying “the content you upload may not facilitate the sale of alcohol, gambling, tobacco, guns, health and medical devices, regulated pharmaceuticals, adult services, financial services and any other product or service subject to local regulations”. They removed the section under offensive content that used to say “We’ll also remove reviews that represent personal attacks on others”. This doesn’t surprise me given the number of people that quote this to get rid of negative reviews. They added a section about harassment and bullying: “We don’t allow individuals to use Google Maps to harass, bully, or attack other individuals”. They added a section under Impersonation that says “Google reserves the right to remove content, suspend accounts, or pursue other legal action against contributors who falsely claim that they represent or are employed by Google”. They added a line under “Conflict of Interest” clarifying that it’s finally against guidelines for ex-employees to leave negative reviews. They put that “posting negative content about a current or former employment experience” is not allowed. I have an upcoming article on Search Engine Land that will be more in-depth on this topic. In the additional guidelines on reviews they clarified that you are not supposed to post links to social media profiles in reviews (previously it just said “other websites”). They added a line that says you shouldn’t solicit reviews from customers in bulk. They removed the section at the top of the review section that said “Make sure that the reviews on your business listing, or those that you leave at a business you’ve visited, are honest representations of the customer experience. Those that aren’t may be removed”. This seems to be an oversight since this was the guideline that most people would quote to get peer-to-peer reviews removed. I’m going to ask Google to clarify on this one and update this article when I hear back. Previously it mentioned that you weren’t supposed to offer or accept money, products, or services for a review. Currently, it only says money. Google clarified that offering incentives is still against the guidelines and they mention it in a different Help Center article you can see here. Google removed the section that said “If you’re a business owner, don’t set up review stations or kiosks at your place of business just to ask for reviews written at your place of business”. I’m not entirely sure why but I still wouldn’t do it unless you want all your reviews to get filtered. Under the privacy section they added medical records as another example of something that is confidential and private, thus not allowed. Some of these changes provide more clarity and some of the things they omitted make me more confused. What changes do you think are the most important? Leave your feedback in the comments. For reference, here is a screenshot of the old review guidelines. These all seem like reasonable, natural and incremental changes. What’s also interesting is that they are now under Maps, not GMB. Might there be a hint there of changes to come in the future? I translate this as not sending 20-100 emails to customers at once but spacing them out like you mentioned. This is actually more of a warning than a guideline since Google filters reviews that appear unnatural and getting tons of reviews all-of-a-sudden can definitely appear unnatural. #10 seems important, if there’s not more clarity on “shouldn’t” from them. The negative effects seem like they’d be widespread for business owners ORM software providers. Just speculation here, but isn’t #10 likely a result of the issue that arose with BirdEye and the BirdEye-sourced Google Reviews that Google recently removed? I think it’s more of a broad reference to people that solicit in mass. The issue with BirdEye was that they were prefilling the stars in the review request so the person had a box open that automatically was set to 5 stars. No problem! I added a section to the guide in November about it that has screenshots of their emails before and after this happened if you want to take a look. It is pretty fascinating. i have seen your help to google my business users about the reviews posted on google. i am in similar situation, and so requesting you to guide me how could i came out it. I have been given 1 star from some competitor and wrote negative comments, i have been given more reviews and comments, but my star ratings not changing. i am a start up company, and depend on Google for my business. This kind of review can put me in deep trouble and i might lose on good clients. I dont know how can i deal with this. I can only request if u can tell me a way forward to this problem. I can’t promise it will be me that will respond to the thread as the times which I volunteer hours over there are not consistent. Thanks much Joy, as per your advicei have posted on spam section in the given link. Hope somebody helps me soon. Thanks for the recap of the changes. On #7, I wish they would pursue this! Have they ever sued anyone for claiming they “represent Google”. I get 2-5 robo calls a week saying they are calling from “google” or something similar. What about using text from Google reviews on your website? I cannot find any specific language about this. If a review is flagged for violating content guidelines, how long will it take Google to review the flag? You can wait 3 days and then contact GMB if it doesn’t get removed after flagging. With the mass solicitation issue does that mean all those softwares that ask for reviews are out of the question? I actually think software helps with this. The one I use (Get Five Stars) allows you to input a large number of customers but have the emails send at a rate of X (you decide how many) per day. This way if I have a business with 4000 customers, we aren’t asking all 4000 to leave him a review at once. This is amazing. One of my ex employee left a 1 star rating on Google for no reason. We can now get that removed. Can you please share the link to where we can raise a complaint?